Mercedes-Benz was granted permission to test the company’s autonomous cars on public roads in the Stuttgart region. The autonomous test car fleet is based on Mercedes-Benz V-Class models. Mercedes is now planning to test the latest Lidar sensor generation and the DAVOS operating system (Daimler Autonomous Vehicle Operating System) in real-life traffic. New features on board now include cutting edge deep learning technologies and graphic processing units (GPUs), systems that have been rarely used in the automotive field. There won’t be a single instant in which specially trained drivers won’t be present in the car, making sure everything goes according to plan. The Stuttgart-based premium carmaker had initially received a certification for testing the company’s autonomous vehicles on German roads back in 2011, a decision that, in August 2013, led to the successful route tracing of Bertha Benz’s journey, 125 years after it happened. A Mercedes-Benz S-Class then travelled autonomously between Mannheim and Pforzheim. 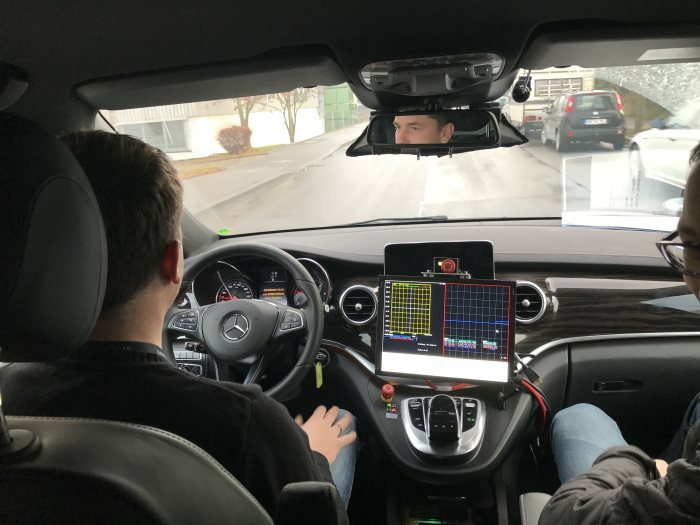 Based on the experience achieved on this trip and many other test runs and research procedures, Mercedes-Benz has developed what is known as the Daimler Autonomous Vehicle Operating System (DAVOS) for autonomous cars. The permission granted to the premium brand marks a milestone for Mercedes-Benz on the road to autonomous driving, where the most intelligent business sedan ever built, the E-Class, is already leading the way.